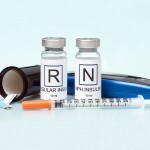 Home » How to prepare a mixed dose of Insulin? Perhaps your doctor will prescribe more than one type of insulin. For example, you may need crystalline insulin (fast-acting) and a certain amount of intermediate-acting insulin (NPH), in order to maintain your blood sugar levels within the set limits for as long as possible. A way to achieve this would be to use a premixed insulin, like 70/30 which contains 70% NPH insulin and 30% crystalline insulin. But if you need another proportion of crystalline insulin (fast-acting) and intermediate-acting (NPH), you’ll have to mix the insulins yourself. 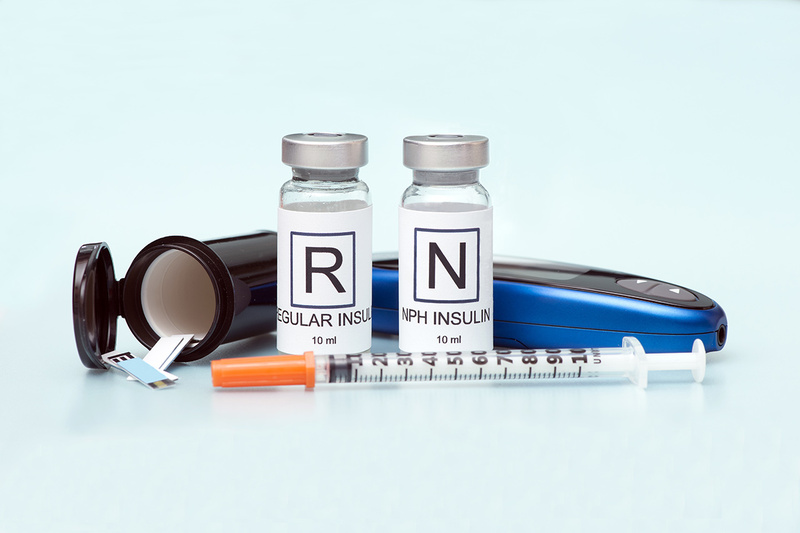 Both insulins can be injected with the same syringe; this is known as a mixed dose of insulin. Then, you’ll only need one injection. 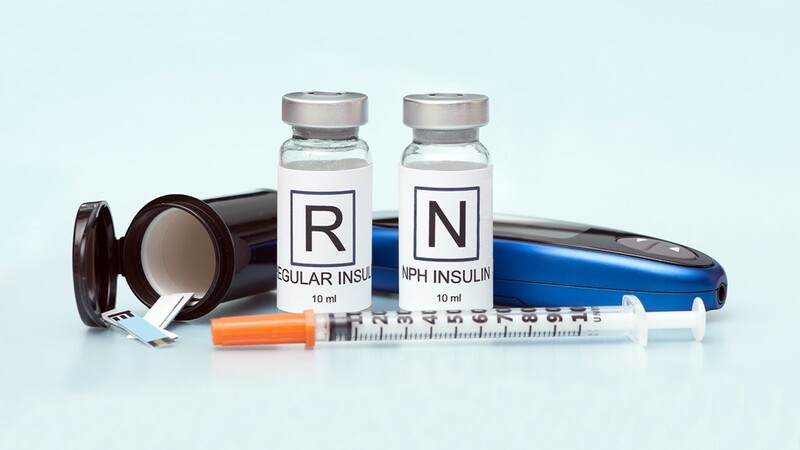 Not all types of insulin can be mixed, however, regular or crystalline (fast-acting) insulin, can be mixed with NPH (intermediate-acting) insulin. The mixture should be done right before you inject yourself. The following example will show you how to mix insulin doses into a single injection. Before attempting to mix insulins, we advise you to learn how to handle both insulins and syringes confidently. First, practice preparing several single doses of insulin. Your doctor will help you practice with your first mixed insulin injection and he’ll observe you as you follow the steps listed below. Use the following instructions only as a guide. 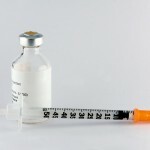 3.- Inject [B] units of air into the bottle of the intermediate or long-acting (NPH) insulin. DON’T put insulin into the syringe. Remove the needle from the vial. 4.- Inject [A] units of air into the crystalline (fast-acting) insulin vial. Invert the vial and syringe. Hold the vial with one hand and with the other pull the plunger until you have [A] units of crystalline (fast-acting) insulin in the syringe. Make sure to get rid of any air bubbles. 5.- Roll or gently shake the intermediate or long-acting (NPH) insulin vial until it mixes. 6.- Insert the needle into the intermediate or long-acting (NPH) insulin vial. Invert both vial and syringe. Hold the vial in one hand and use the other to pull the plunger. Pull the plunger until you have the total of [A+B] insulin units, that is the total sum of both insulin doses, in the syringe. Make sure not to transfer Regular or Crystalline (fast-acting) insulin into the NPH (intermediate-acting) vial.